An ice sheet is a mass of glacial land ice extending more than 50,000 square kilometers (20,000 square miles). The two ice sheets on Earth today cover most of Greenland and Antarctica. During the last ice age, ice sheets also covered much of North America and Scandinavia. Together, the Antarctic and Greenland ice sheets contain more than 99 percent of the freshwater ice on Earth. The Antarctic Ice Sheet extends almost 14 million square kilometers (5.4 million square miles), roughly the area of the contiguous United States and Mexico combined. 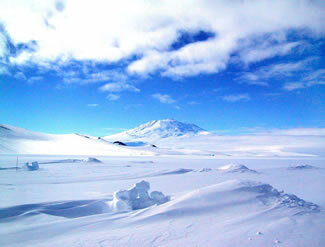 The Antarctic Ice Sheet contains 30 million cubic kilometers (7.2 million cubic miles) of ice. 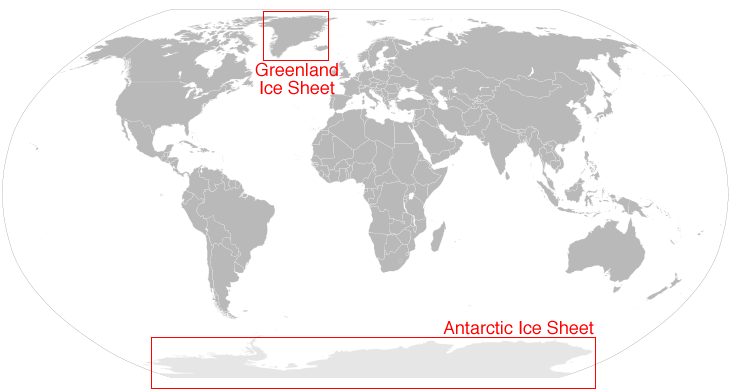 The Greenland Ice Sheet extends about 1.7 million square kilometers (656,000 square miles), covering most of the island of Greenland, three times the size of Texas. How do ice sheets form? Ice sheets form in areas where snow that falls in winter does not melt entirely over the summer. Over thousands of years, the layers of snow pile up into thick masses of ice, growing thicker and denser as the weight of new snow and ice layers compresses the older layers. Ice sheets are constantly in motion, slowly flowing downhill under their own weight. Near the coast, most of the ice moves through relatively fast-moving outlets called ice streams, glaciers, and ice shelves. As long as an ice sheet accumulates the same mass of snow as it loses to the sea, it remains stable. Why are ice sheets important? Ice sheets contain enormous quantities of frozen water. If the Greenland Ice Sheet melted, scientists estimate that sea level would rise about 6 meters (20 feet). If the Antarctic Ice Sheet melted, sea level would rise by about 60 meters (200 feet). The Greenland and Antarctic ice sheets also influence weather and climate. Large high-altitude plateaus on the ice caps alter storm tracks and create cold downslope winds close to the ice surface. In addition, the layers of ice blanketing Greenland and Antarctica contain a unique record of Earth's climate history. Has climate change started to affect Earth's ice sheets? The mass of ice in the Greenland Ice Sheet has begun to decline. From 1979 to 2006, summer melt on the ice sheet increased by 30 percent, reaching a new record in 2007. At higher elevations, an increase in winter snow accumulation has partially offset the melt. However, the decline continues to outpace accumulation because warmer temperatures have led to increased melt and faster glacier movement at the island's edges. 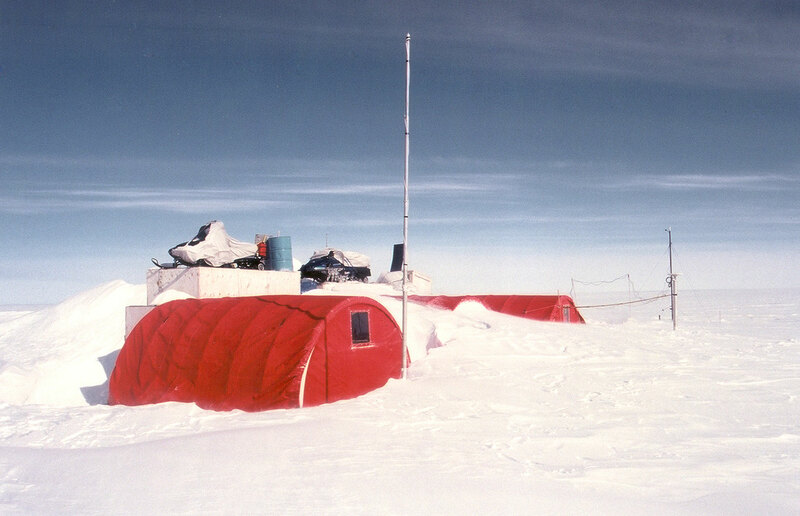 To learn more about research on the Greenland Ice Sheet, visit former CIRES Director Konrad Steffen's research Web page (http://cires1.colorado.edu/science/groups/steffen/). Most of Antarctica has yet to see dramatic warming. However, the Antarctic Peninsula, which juts out into warmer waters north of Antarctica, has warmed 2.5 degrees Celsius (4.5 degrees Fahrenheit) since 1950. A large area of the West Antarctic Ice Sheet is also losing mass, probably because of warmer water deep in the ocean near the Antarctic coast. In East Antarctica, no clear trend has emerged, although some stations appear to be cooling slightly. Overall, scientists believe that Antarctica is starting to lose ice, but so far the process has not become as quick or as widespread as in Greenland. To learn more about how changes in the Antarctic Ice Sheet could affect sea level, see State of the Cryosphere: Ice Sheets and State of the Cryosphere: Sea Level. To read about an NSIDC research project on the Antarctic Ice Sheet, see Antarctic Megadunes. What can ice sheets tell us about Earth's climate history? Scientists extract ice cores from ice sheets and ice caps, studying them to learn about past changes in Earth's climate. Ice sheets are made up of layers of snow and ice that collected over millions of years. Those layers contain trapped gases, dust, and water molecules that scientists can use to study past climates. State of the Cryosphere: Ice Sheets. Find current information on Greenland and Antarctic ice sheets. State of the Cryosphere: Sea Level. Find current information on how ice sheets could affect sea level. Antarctic Megadunes Expedition. Read about a study of dune formations in the center of the Antarctic Ice Sheet. NSIDC distributes scientific data sets related to ice sheets. See Advanced Data Search to learn more about our data holdings. Steffen Research Group: Read about former CIRES Director Konrad Steffen's research on the Greenland Ice Sheet (http://cires1.colorado.edu/science/groups/steffen/). 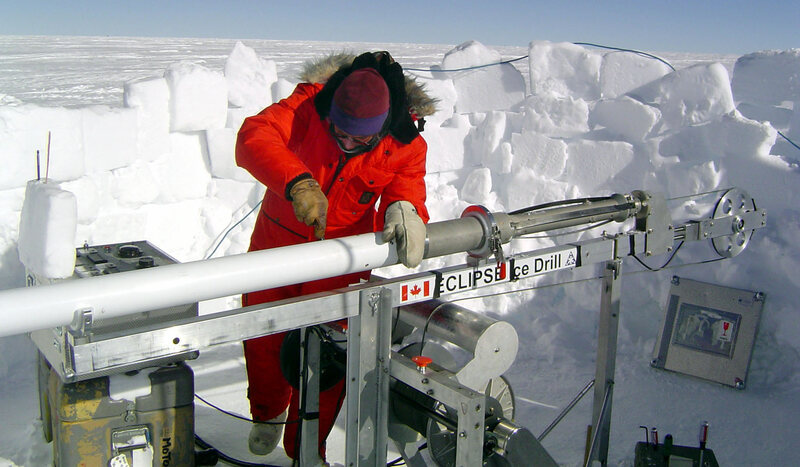 National Ice Core Laboratory: Learn how scientists use ice cores to explore Earth's history (http://icecores.org). British Antarctic Survey: Find a wide variety of educational and scientific resources about Antarctica. Discovering Antarctica: An educational Web site on Antarctica from the British Antarctic Survey and Royal Geographic Society (http://discoveringantarctica.org.uk).